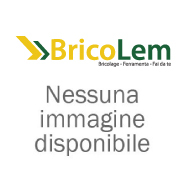 Home > I NOSTRI PRODOTTI>FERRAMENTA>UTENSILI AD ARIA>ACCESSORI ARIA COMPRESSA>ACC. P/COMPRESSORI INNESTO RAPID. FILETTATO FEMM. ACC. P/COMPRESSORI INNESTO RAPID. FILETTATO FEMM. ACCESSORI PER COMPRESSORI INNESTO RAPIDO FILETTATO F. 1/4"